If you're a current member, you can get upgrade to the new service at no additional cost. This is kind of confusing to me, since the account calculation said I have 3 more boxes ($30 credit) until my annual subscription is up, does that mean I will receive 3 boxes from the new service as well? Or does it mean I receive Fall 2012 Luxe box and no longer have the $30 credit, but then how does the constitute as "no extra cost"? In addition to my subscription, I would like to know what has happened to the 2 boxes I gained through my referrals? 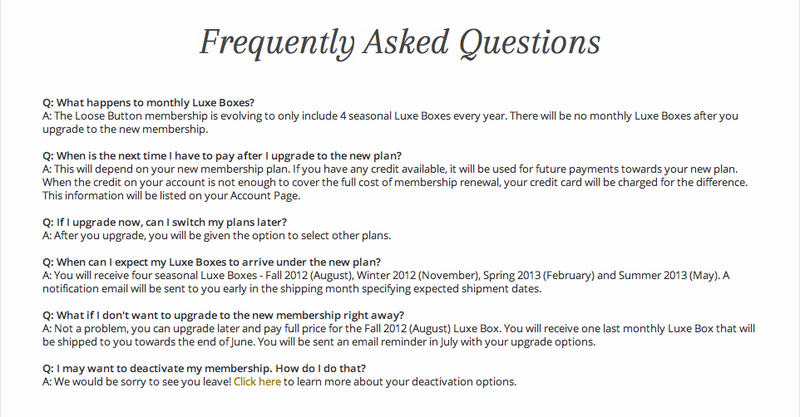 You also have an option to upgrade later and received one more monthly luxe box before you choose to upgrade or deactivate your subscription. I think in order for Loose Button to issue you a refund, you need to choose the June Luxe Box option and then choose "Opt for a refund but lose your member status". I think that if you have $40 to $50+ credit, I think you should get a refund. But anything under, I would go for the upgrade. Either way, you're bound to wait either for the new box or for your refund. I'm on the fence with this decision. I would like to upgrade to the Fall 2012 box, but I don't want to wait until August. But I don't want them to send out a mediocre last "monthly box" so that all the amazing goodies are in the inaugural seasonal box. Honestly, I don't think it's the best move because I thoroughly enjoy receiving monthly treats. Instead of getting 12 to 15 products in three month, we're down to 7 to 8 products and they better be spectacular! Right now, like everyone is saying, it seems like more money for less products. Loose Button has always been one of my favorite despite their inconsistencies, so it's really sad that they made a change that I really don't like. I signed up for a monthly service, not a seasonal. I wish they prepared their subscribers with this news rather than just surprising us. It would even be more courteous to place a notification so that new subscribers know what they're buying into. I'm tempted to upgrade but I am also tempted to leave the service as well. I just need to understand what "no additional cost" really means and what happens to my referral boxes that I gained? 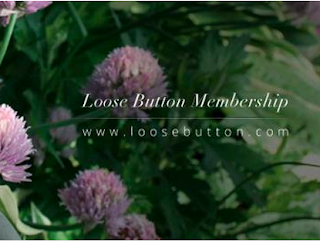 Anyways, what are your thoughts on Loose Button's new membership? Are you upgrading or getting the June box and unsubscribing? Update: I ended up choosing the upgrade option so I will be receiving the Fall box "at no extra charge" and I have another $26 to go towards the Winter box (at least to my understanding). I don't know how the referral boxes will play into this, but apparently it will, so I guess we shall see what happens. One of the only reasons I subbed to Luxe was for the monthly box. This change is not for the better imo and I have already gone ahead and cancelled my year sub. I just really hate Loose Buttons lack of communication and customer service with this change. never hear of this so cool!! Change is hard either way! I understand that for sure .. when I first found out I was a bit nervous about it .. not sure how it would be. I think loose button will kill it with these boxes ! I want to take a positive approach to their change and support their decision. I do hope it was the right one for them to make! To clarify things, "at no extra charge" means that the June box from your old membership will be upgraded to the Fall Luxe Box at no extra charge. Even though the new membership starts at $26 per box, current members of the Loose Button community do not have to pay anything extra to receive the Fall edition of the new Luxe Box. We wish you and your followers a wonderful evening. I had an $80 credit and chose to upgrade to the quarterly plan ... I hope they don't disappoint me. I don't know how I feel yet... but I'm still upgrading. 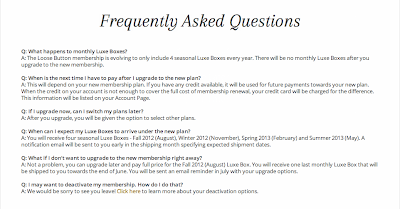 I like what Luxe Box is about and if they say that this is for the better then bring on better boxes! Good overview! I was confused too and saw a ton of negative and unhappy comments on Loose Buttons facebook page.. however, I have decided to upgrade and see how it goes. I feel this move is because of how saturated the beauty subscription market has become.. so many services for a medium sized niche... if they can deliver I will stick with it but really the August box will decide it for me. nice blog..if u wish lets follow each other..